Hinterdobler’s prize asset is its 25-strong team of highly-trained employees. Our team is a healthy mix of young and old. Talented young professionals work hand-in-hand with a team of executives who in some cases have worked for Hinterdobler for over 30 years. Our customers, too, benefit daily from this vast experience. Work at Hinterdobler is characterized by personal contact, flat hierarchies and mutual appreciation. This creates a high level of identification with the company and is a natural basis for team success. Hinterdobler has recorded controlled growth for decades. Thus, in our segment we have become the market leader in Europe. Our reward is the pleasure that results from repeated outstanding achievement. With the two authorized signatories, Frank Hinterdobler and Alexandra Hinterdobler, the family-owned company is now run by the third generation. Their fresh outlook opens up new perspectives with creative ideas and unusual solutions. The owner-managed corporate culture with its short decision paths creates an ideal climate for these innovations. 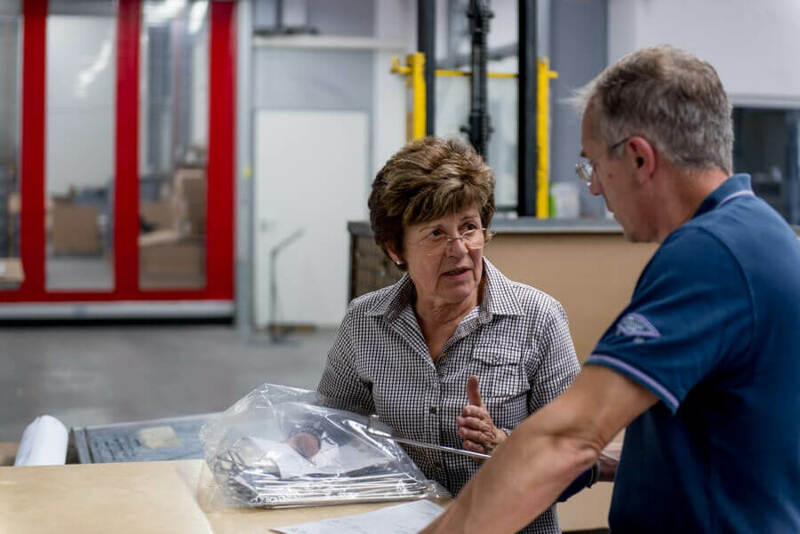 We have been active in the market for forty years and serve customers in Germany and Europe — ranging from small businesses to global corporations.